The Global Lens film series at Bates College continues with My Time Will Come, by Ecuadorian director Victor Arregui, with 8 p.m. showings on Friday, Oct. 2, and Sunday, Oct. 4, in Room 105, Olin Arts Center, 75 Russell St. Hosted by the Bates College Museum of Art, the series continues on Fridays and Sundays throughout the fall. Admission is $5. For more information, please contact 207-786-6135 or this olinarts@bates.edu. 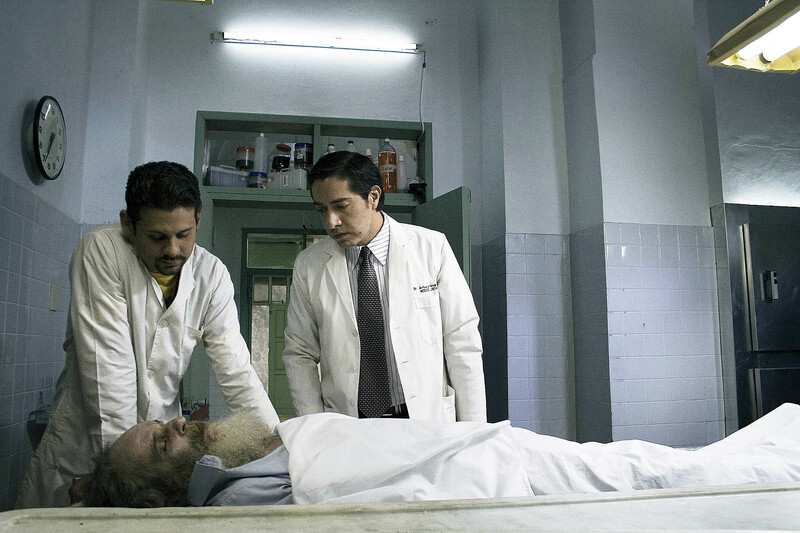 My Time Will Come tells the story of Dr. Arturo Fernandez , a reclusive Quito coroner. Through the film, a series of interwoven tragedies leads the protagonist to reconcile his relationships with both the living and the dead. Made in 2008, the film is in Spanish with English subtitles (90 mins.). After working as a director of photography for television and documentary films, winning awards and acclaim from organizations such as UNICEF, Arregui produced his first short film, El Tropezon in 1999. His first full-length film, Offside, was screened at over 30 film festivals. My Time Will Come is his second feature film. Learn more about My Time Will Come and the entire Global Lens series.